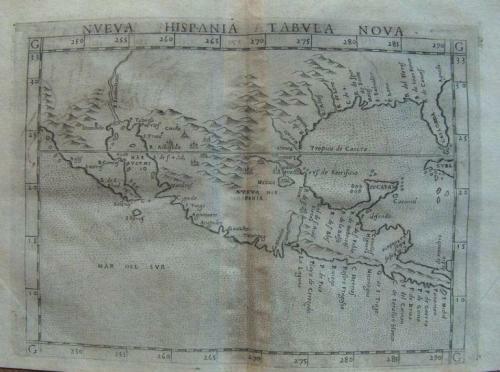 Title: 'Neuva Hispania Tabula Nova', by Vincenso Valgrisi. In excellent condition. The picture shows a centerfold shadow that is not present on the map.